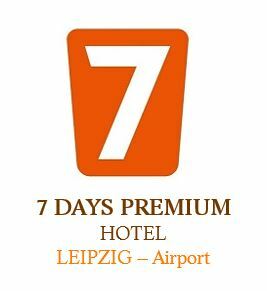 This modern hotel (opening in March 2018) is located next to the Terminal at Leipzig/Halle international airport and therefore the perfect choice for travelers flying in/out of Leipzig and Halle. You can reach the city centre of Leipzig or Halle in 15 minutes by train S5 or in 30 minutes by car. 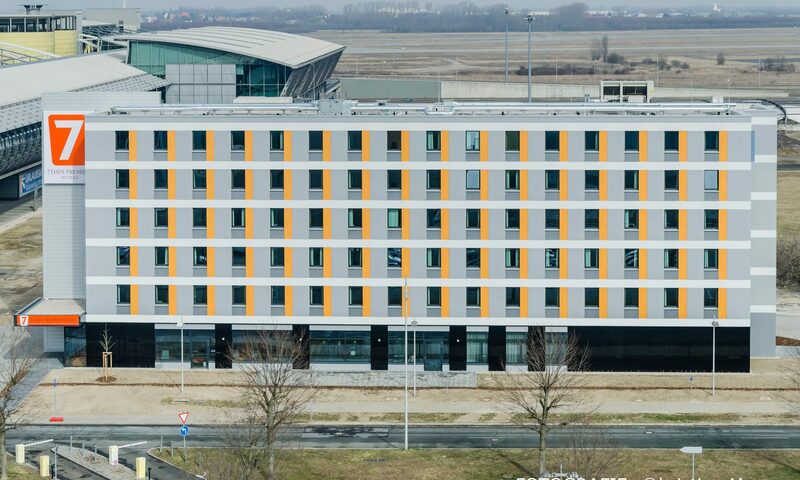 Especially for guests, who have booked an early flight the next morning, the hotel is perfect due to the 3 minutes walking distance to the terminal building. All 150 comfortable non-smoking rooms are equipped with large double bed or 2 separate beds and feature flat screen TV, bathroom with rainshower and hair-dryer, air condition as well as free wifi. The family rooms have an additional bunk bet for 2 children (max. 12 years). Besides the hotel has 1 meeting room (approx. 55 sqm) with daylight on ground floor, which can be darkened and are equipped with technical equipment (beamer, flipchart, pinboard). 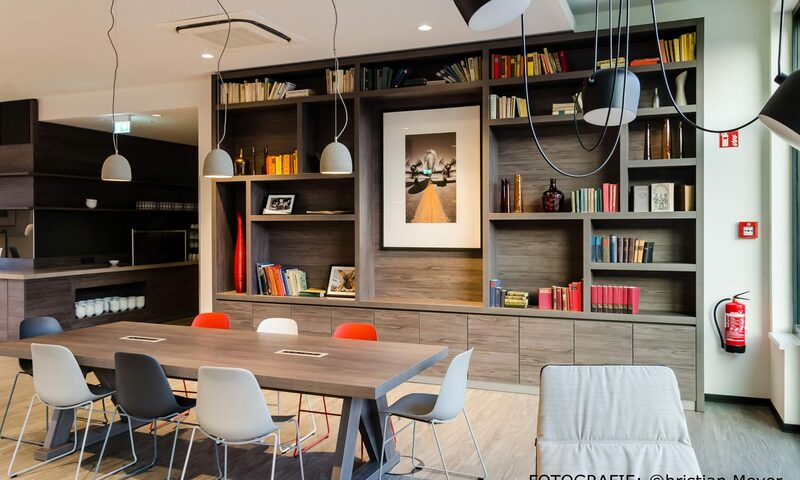 It can be seperated into 2 smaller rooms and can be used for a maximum of 30 people in classroom style. 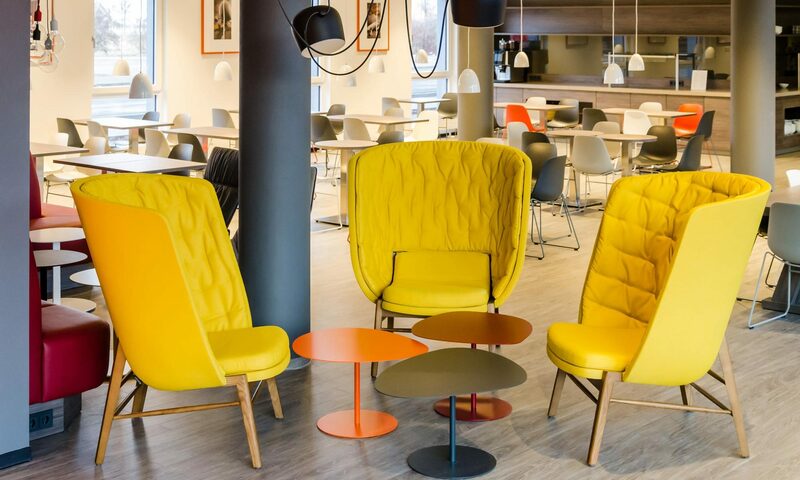 The hotel has an open lobby with different working places and lounge chairs, where you can relax the evening with a drink from the bar. Every morning, we serve a rich continental breakfast buffet for a fee of 10 EUR per person, which can also be taken on the outside terrace on sunny days. Parking spaces are available for our guests for a special price (8 EUR per day) on in the car parc in front of the hotel. We also offer special prices for parc, sleep & fly (please contact us for special conditions). 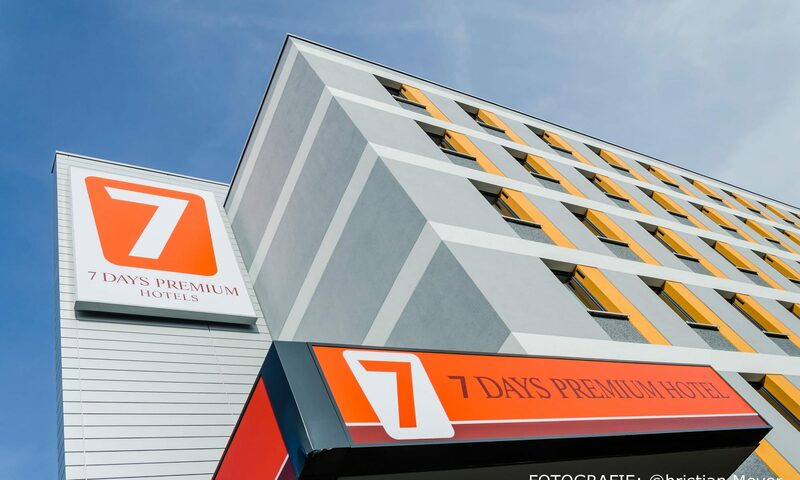 Pets are welcome for an extra charge of 7 EUR per day. The reception is staffed daily around the clock.